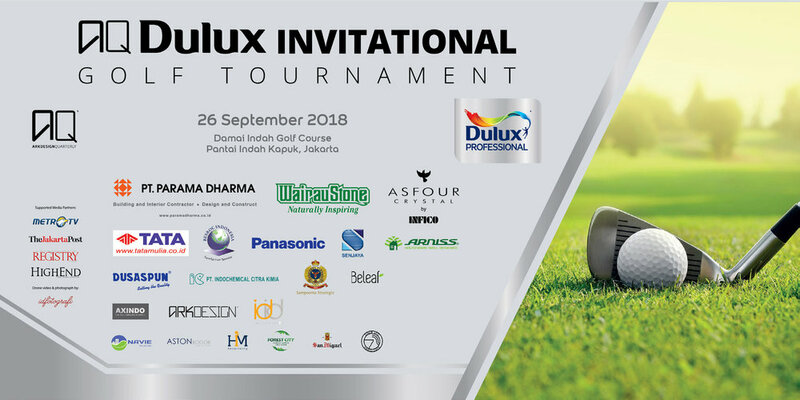 AQ Dulux Invitational 2018 is a charity golf tournament partnered with Dulux Professional. This golf tournament was held at Damai Indah Golf Course in Pantai Indah Kapuk. The benefactors of this year's AQ Dulux Invitational tournament are organizations involved in disaster relief such as Yayasan Kasih Bagi Sahabat (Partners for Compassions) and Yayasan Laut Langit Biru, an environmental organization dedicated solely to reduce plastic waste.